Phra Nakonrat; Guardian of GatesCast bronze reproduction in Ayutthaya Style,(c. 18th century). Buddha embodying PhraNakhonrat, the guardian of gates in Thailegend, who watches over palace, monasteryand home. 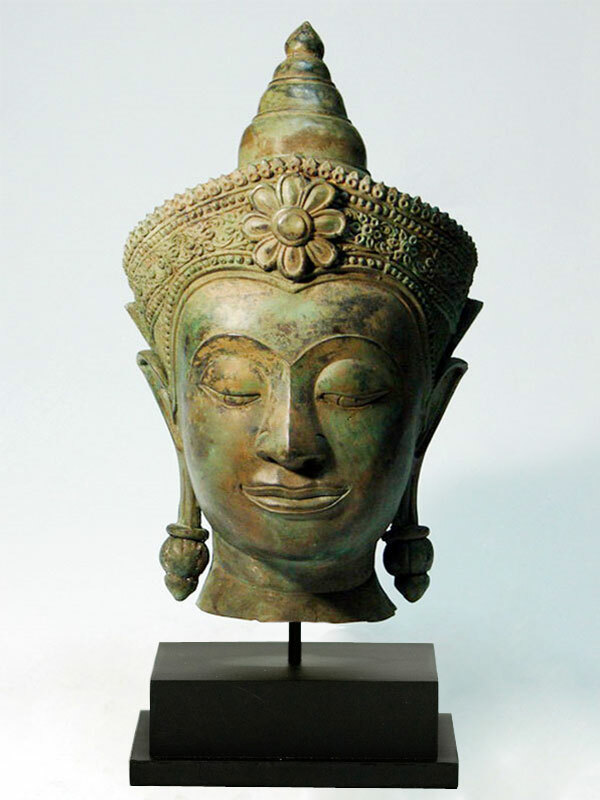 This image combines the facialfeatures of the northern Sukhotai Buddha, finelyworked filigree decoration of the crown, hingesprotruding above the chaplet, and Khmer-styleinverted Lotus-bud ear pendants, allcharacteristic of the mature Ayutthaya style.